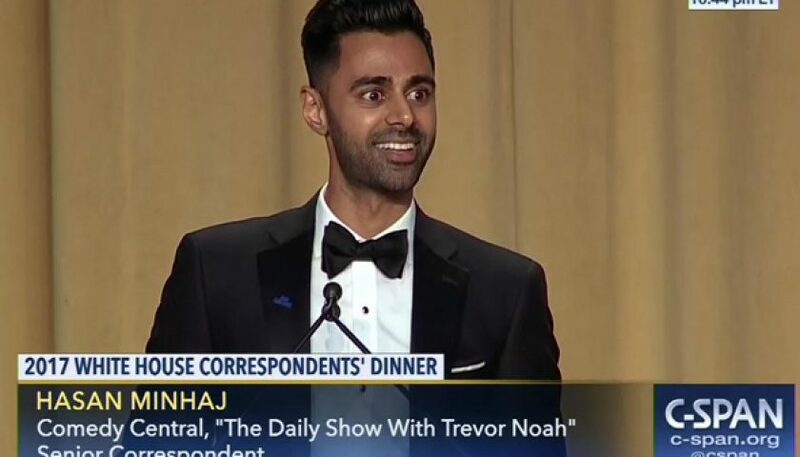 Daily Show senior correspondent Hasan Minhaj took on the most thankless job in comedy Saturday night, appearing at the annual White House Correspondents’ Association awards dinner. It was especially thankless this year: Donald Trump, famously skewered by President Obama and Seth Meyers in 2011, decided to skip it, and Samantha Bee threw her own competing event the same night. Nevertheless, Minhaj persisted, and you can watch his complete remarks above.